Diversity and unity were at the heart of the University of North Florida’s International Day of Peace event on September 21st, 2018. Here are some activities we focused on for our drumming session. We started off with a short activity called “Rumble If.” The facilitator (or a participant) asks a yes or no question. 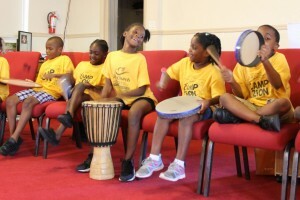 If the answer is yes, participants rumble (play a drum roll) on their drums. I always say this is an excellent way for the group to get to know one another and break the ice. We find out things we have in common and what makes us unique. Next, we did something called Rhythm Naming. I invited participants to think of a focus word or goal for the session, or for the rest of the day. 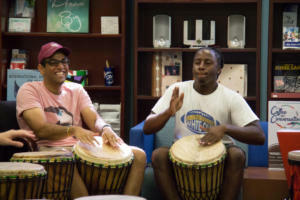 They could focus on a word or phrase such as “reducing stress” or “meeting new people.” After deciding on a word, each person played a representation of that word on their drum. 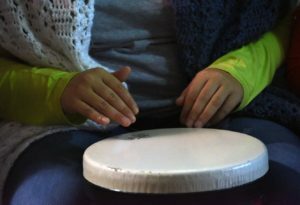 People chose phrases such as “peace on earth,” “love is a language,” “smile,” and “go away stress!” And, the rhythms they played on the drum to represent those words showed off their creativity. After that, we got into the meat and potatoes of the session – the drum jam. The jam is the opportunity for participants to really tap into their creative side and also tune into the others in their group. We encourage everyone to “play whatever you want as long as it makes us sound good!” We achieve that by listening to others and figuring out how our rhythm fits in with others’. But first, we started off with a heartbeat – playing the rhythm of our hearts (“lub-dub” or “boom boom”) and gradually adding in other sounds to explore the rhythm further. Playing this rhythm solidifies the theme of commonality – we’re all human, we all have a heartbeat, no matter who we are or what we believe. Finally, this little game allowed us the chance to see how the rhythm changed the more sounds we added to it. Participants started off by choosing a number between 1 and 8 (everyone chose their own number), and then they played one “boom” every time they heard their number during the counting aloud. Then, they chose two numbers to play during the 8-number cycle, doubling the sound that we heard. Afterward, we talked about what it meant to contribute (even in some small way) to the outcome of the whole. We ended the session with a “pair and share,” an opportunity to people to partner up and talk about their favorite parts and takeaways. Would you like to offer a unifying drum circle to your group or organization? Get in touch with us! 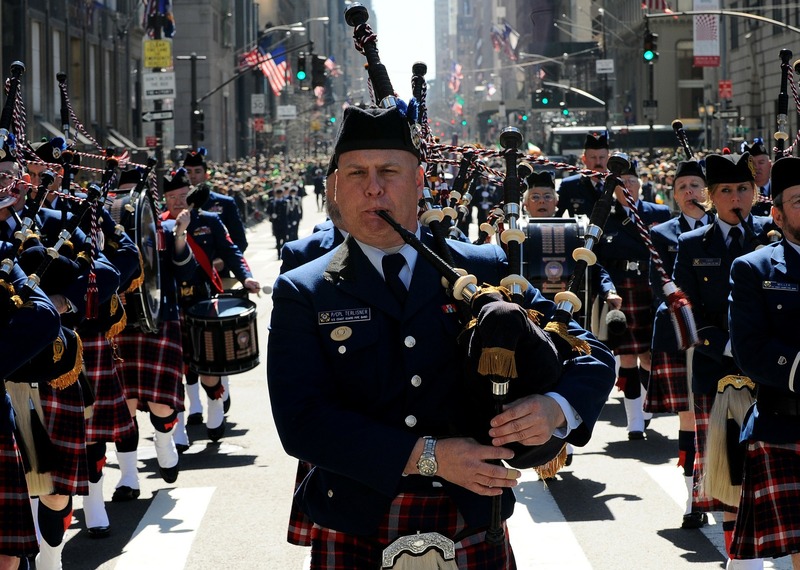 It’s St. Patty’s Day again – time for shamrocks, the luck o’ the Irish, and a sudden interest in Celtic music and drumming. 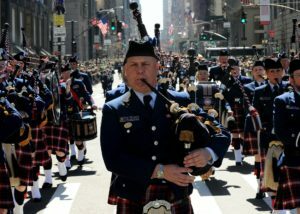 But this year, instead of picking up a green beer and toasting your health, why not try picking up a drum instead? You don’t have to know how to play the Irish bodhran to experience the health benefits of drums. Here are a few reasons to drum for your health this year. Listen, who hasn’t experienced the occasional digestive issue? But I’m talking stress-related issues here – those tummy problems that arise when you’re under lots of stress and experiencing anxiety. Drumming can play a big part in helping the mind and body to relax, which can reduce those pesky digestive issues. When you’re stressed, that stomachache gets worse, right? Well, when you’re relaxed, the opposite happens – the pain subsides. Drumming focuses your mental energy and invites you to stay in the moment, forgetting the stress – and being able to better handle it later on. Take it from someone with lifelong digestive issues – you will banish that stress bloat! No luck needed – it’s science! You don’t need the luck o’ the Irish to get healthy. 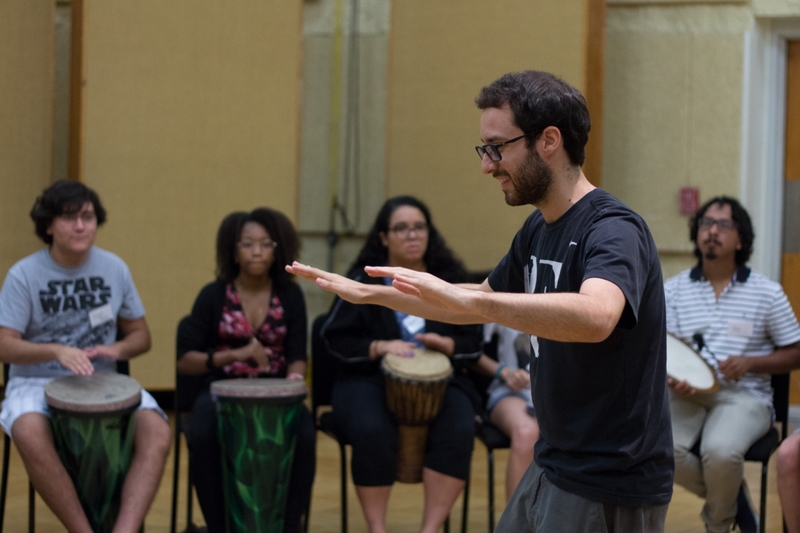 You simply need to incorporate rhythm into your daily life on a personal level. Take a look at this study on the health-related effects of stress, and how drumming helps combat them – stress plays a role in cardiovascular disease, obesity, diabetes and more. Adding rhythm to your daily life adds more presence and mindfulness, which better equips us to deal with life’s challenges. Drum on your steering wheel on the way to work, dance around to your favorite song while preparing dinner, or try this simple rhythmic breathing exercise before bed. Sure, you can find community in a bar on St. Patty’s Day, but you can also find it when a group of people share a common interest, like drumming. As more and more research emerges about the links between social isolation and depression, it becomes increasingly important to offer more easy opportunities for people to make connections. 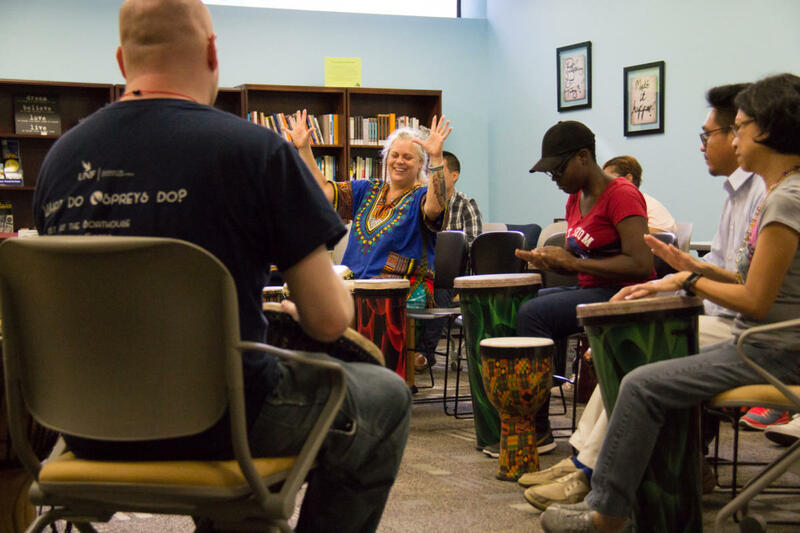 Drumming is the rock star of community and togetherness – creating rhythms as a group encourages people to support each other and work toward an aesthetically pleasing musical outcome. Pick up a drum for your health today. It doesn’t matter if it’s a bodhran, an infamous bongo (that name that many people like to call all drums), or just you and your steering wheel in the car (no, it doesn’t have to be this crazy!). Your body will thank you. 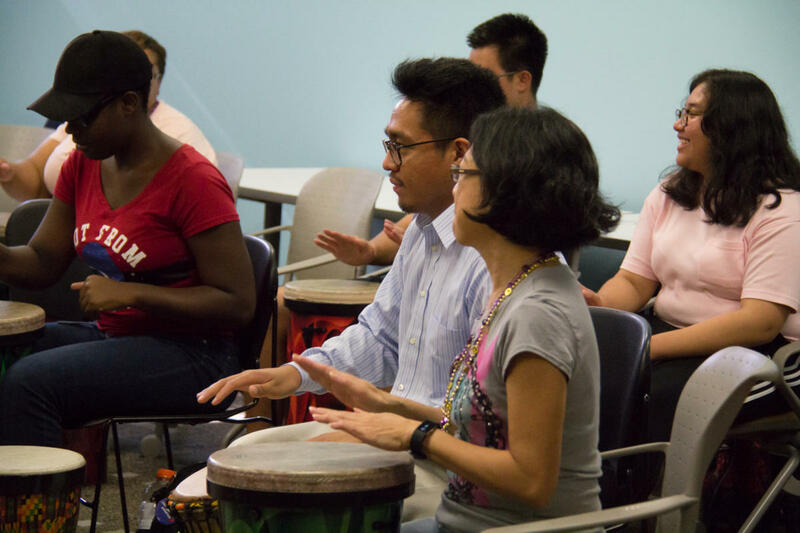 Join us for our upcoming live workshops to experience the drumming fun for yourself! Group discounts are available! WOW – what an impact-filled year! Thanks to the more than 60 organizations who booked Just Add Rhythm in 2017, we were able to empower more than 4,000 people of all ages through rhythm! From South to North Florida, we drummed it up in the after-school programs. 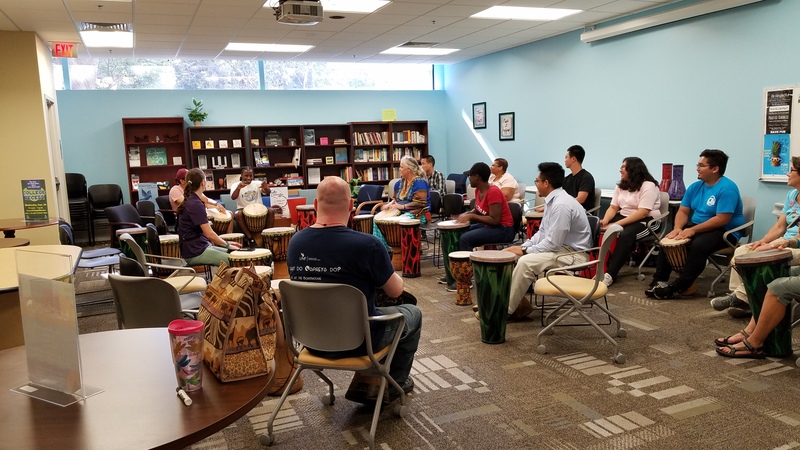 Communities in Schools of Jacksonville is currently enjoying monthly and twice-monthly drumming programs at four of their elementary school sites. 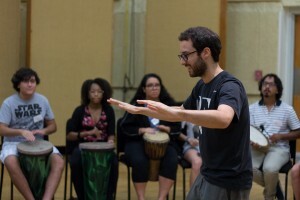 One site coordinator remarked, “it’s another way [for students] to release energy and it teaches them to work together as a group.” So, rhythm has a significant impact on teamwork! We also had the pleasure of providing weekly programs to the Boys & Girls Clubs of Northeast Florida‘s Butler Middle School after-school program. Students learned about teamwork, collaboration, and communication with the evidence-based DRUMBEAT curriculum. 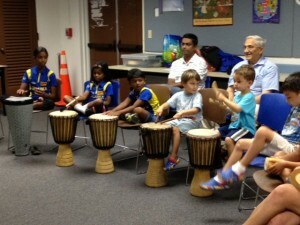 Meanwhile in South Florida, we drummed with the Boys & Girls Clubs of Broward, the Broward Children’s Center, Smith Community Mental Health Center, After-School Programs of Broward, and more. Both students and staff enjoy the hands-on aspect of playing the drums and creating their own rhythms! 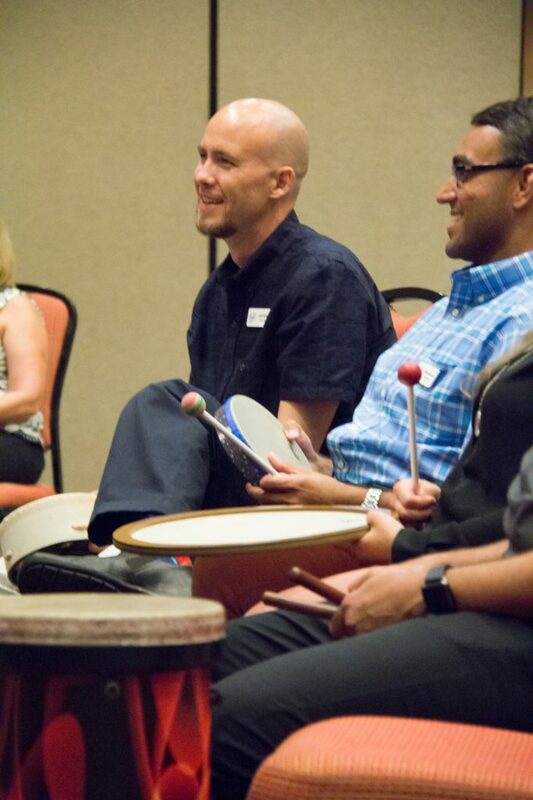 I’m confident we can help your company or organization strengthen its connections to one another through rhythm. Please reach out to us and find out how!